The CZECHOSLOVAK GROUP industrial holding, owned and controlled by Czech entrepreneur Michal Strnad, published its annual report for 2017, bringing the economic results of this non-consolidated group of dynamically growing companies. Revenues were CZK 24 billion, EBITDA CZK 2.781 billion, the assets reached CZK 44 billion, and the equity amounted to CZK 16.6 billion. Revenues from the unconsolidated unit increased by 56% year-over-year, EBITDA by 52%. At the end of 2017, the group had 6797 employees. Their current number has already exceeded 8,000. CZECHOSLOVAK GROUP (CSG) operates in the fields of automotive, radar, aviation, metallurgy, defense and railway industries. About half of the sales are generated by companies from the defense industry, in which the holding mainly focuses on the development and production of ground technology in EXCALIBUR ARMY and TATRA DEFENSE VEHICLE. The automotive companies of the holding include TATRA TRUCKS and AVIA Motors. The aviation industry is represented by JOB AIR Technic. Another important aviation project is the training center for helicopter pilots of the Slovak Training Academy, opened in Autumn 2017 in Košice, Slovakia. DAKO-CZ, manufacturer of brake systems for the metro and railways, was one of the first companies integrated into Strnad’s Group. The metallurgical part of the group's business is made up of the TATRA METALURGIE company in the Czech Republic, a foundry belonging to Kovosvit MAS, and finally, ZŤS Metalurg plant in Slovakia. There are two Pardubice-based companies RETIA and ELDIS Pardubice, focusing on the radar industry. Their capabilities are complemented by another CSG company, the Prague-based CS SOFT, which develops air traffic control systems. Most of the revenues come from export, supported by several specialized agencies within the group, which focus on foreign business opportunities and projects. In addition, in 2017 the holding acquired the first significant domestic contract for 20 Pandur armored command and communications wheeled vehicles for the Czech Army, worth CZK 2 billion. 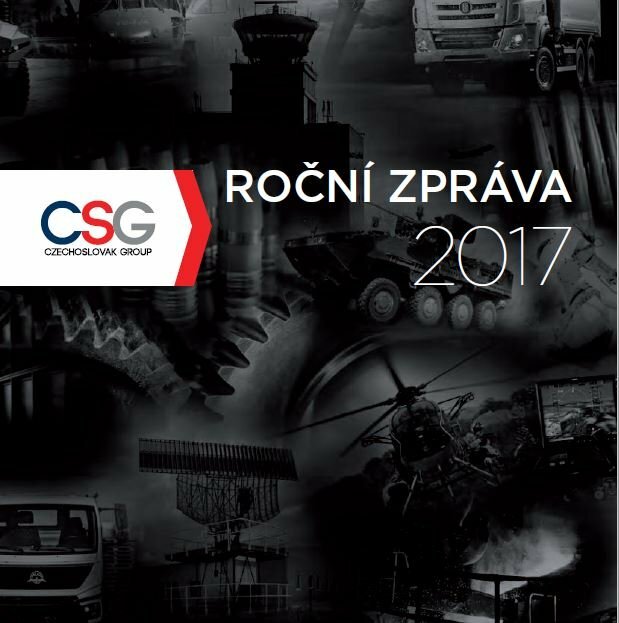 Michal Strnad, owner and CEO of CSG, says: "In 2017, our priority was to develop companies already in the group. There were also several acquisitions of small and medium-sized businesses." The new acquisitions were the Czech radar manufacturer ELDIS Pardubice and CS SOFT, the developer of air traffic control software. In Serbia, the Slovak branch of the MSM holding invested in acquiring the company IMK 14. Oktobar, which focuses on engineering production for civil and defense industries. CZECHOSLOVAK GROUP is a holding that builds on the tradition of Czechoslovak industry, which supports and further develops the activities of traditional Czech and Slovak companies in the field of defense and civil industrial production. Its portfolio includes the production and sale engineering products for the automotive, rail, aircraft and watchmaking industries, as well as the production of special vehicles, off-road trucks, weapons and weapon systems or ammunition. The Group puts a strong emphasis on the quality of its products and services, and also on export activities. Products made by the companies of the holding can be found on all continents, and the number of its customers keeps growing steadily. The companies of the CZECHOSLOVAK GROUP employ more than 8,000 people, and in the year 2017 they generated revenues of CZK 25 billion CZK.